The Adani Carmichael Coal mine is located in the Galilee Basin, west of Rockhampton Queensland which is set to be the biggest single coal province in the world. ADANI's flagship Carmichael mine in the Galilee Basin is estimated to be a $16-24 billion project. It has could become the biggest thermal coal mine Australia has ever seen. The mine will include, rail line and significant updates to the Abbot Point port and ship loading facility at Bowen. There are huge mining job opportunities for construction workers and other trades ranging from diesel mechanics to locomotive drivers, electricians and carpenters. The Adani Carmichael Mine Project has the ability to export more than 60mtpa of coal at its peak production phase. Mining operations will involve a massive infrastructure undertaking including a 400km rail line to Abbot Point, near Bowen. The mine itself is expected to create around 5,000 mining construction jobs and + 4,000 mine jobs when in full production. When fully developed, the Carmichael Coal Mine will be the largest coal mine in Australia. The development of the mine and rail network will boost employment in the areas surrounding the mine. This is a once in a lifetime opportunity to switch careers or look for a fresh start in the coal mining sector in Queensland. Existing workers looking to take advantage of this new project and secure employment, should think about getting the right training and appropriate certification that meets the Government legislation around WHS and the Coal Mining Safety & Health Act 1999. The project has a potential mine life of 90 years. An investment of approximately $10 billion. A permanent work force of 4000 people is anticipated. The mine is expected to be around 45 kilometres long. Carmichael Mine is located on the Moray Downs cattle station (Isaac Regional Council area), about 160km north-west of Clermont, QLD. Mining operations are expected to be a combined of 6 open pit and underground workings. Each pit is expected to produce 10 million tonnes of coal a year. Coal exports are predominantly headed for India with the first coal exports around early 2016. Recommended training courses and certifications you need to better your chances of getting a job with Adani at the Carmichael Mine. Complete a mining induction course (Recognised Standard 11). This is a well structured and engaging safety training course that will introduce new starters or workers entering the mining industry to life in the industry. 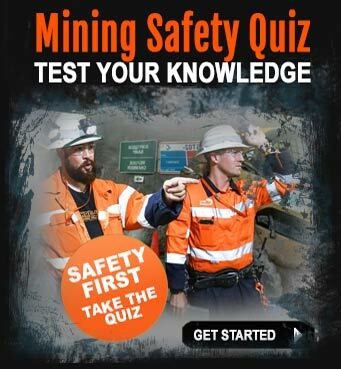 Read more about mining induction safety training courses and book your spot online. Arrange a medical health check referred to as a Coal Board Medical. This is a requirement by the Coal Mine Workers` Health Scheme. Coal mining companies must ensure that a health assessment is carried out for each person who is to be offered employment, or is already employed in the coal mining industry. Read more about the Coal Board Medical. You must have a mining focused resume prepared before you apply for a position. If your resume is not up to date and structured correctly, you risk having your resume overlooked by the automated resume scanning software that is designed to look for selected keywords contained in your resume. This is the first hurdle where many applicants fall, however, there is a solution. Invest in your future and read through our resume tips for mining jobs and have a look at the resume writing service - it works! Adani will be running ads for Administrative Support, Technical, Trades/Support, Management, Finance, Health & Safety, Environment, Engineering, Purchasing & Logistics, Construction, Legal, Rail and Port, with many more jobs being made available as construction ramps up. So if you're looking for an entry-level mining job or a professional career, this could be your perfect opportunity to join the industry. How do I get a job at the Carmichael mine if I have no experience? Many people ask us how to get a mining job with no experience? There are a lot of factors and answers to this question. It depends on your previous experience, qualifications, whether you have the correct certifications, tickets and also the right attitude. There could be a lot of opportunity for new starters to get a foot-in-the-door, so even if you have never worked in the mining industry, with the right mix of certification, experience and ability - you could score a job with Adani at its Carmichael mine. If you need to talk with someone about booking in to a training course, or you need help with your resume, call Industry Pathways on 0403 560 594, they have specialist advisers on hand to help. As iMINCO is an information provider and not an RTO, we utilise the training and industry experience of Industry Pathways -, who are a leading provider of mining training. Do you know if there is any active GIS team/job with Adani Project? Hi Nick, thanks for your question on that one. We have no updates on those types of specifics, sorry. I’m sure they would have all of they in order. There were some pre-surveys going ahead a few months back when Adani pulled the crews off the job site. I wrote a blog on this Nick, you can find it here Adani engineers told to stop work. There was information on that page, but mainly to do with the engineering side of things. It may be useful – I’m not sure mate. Remembering that Downer EDI are the main contractors for the mine, both the building of it and the management.. give them a nudge and perhaps chase it up – call them and see what they say. Also do a Google search for “Adani GIS Team”, or ‘Adani Carmichael GIS’ – there are some good results there – I just did it. Hi Dewayne, best place to start is to download our ebooks… they are free. You’ll find a lot of information on entry-level mining jobs and how to get a job in the mines with no experience. It’s not as easy as it was a few years ago, however, don’t let that put you off applying. Mining is competitive, but if you can show initiative and are prepared to work and take orders without being combative, then you may have a chance. As with most jobs, it’s not what you know, it’s who you know.. so ask around, ask your friends and even go so far as move closer to a mining location – that’s often the best way to hear about jobs in the mines by word of mouth. Go the iMINCO mining ebooks page and download what you need. r.e. looking for entry-level jobs in the mines without any previous experience. Josepth, thanks for your comment. Korean engineering firm POSCO has the contract to manage the building of the Adani Carmichael rail link from the Galilee Basin to Abbot Point. Click to read more about the Adani rail link on the iMINCO website. r.e. Who is building the Adani rail link from Galilee Basin Carmichael mine to Abbot Point near Bowen and how do I apply? WHAT ARRANGEMENTS IN PLACE FOR ACCOMODATION VILLAGE AND JOBS AVAILABLE who will be cot rated ie Spotless etc. Hi Debra, at this stage everything is speculation about who will be providing camp facilities management. I can tell you that Downer EDI are the contractors who will build and operate the mine, so I’d start to dig a little there. As soon as we know anything, we will be writing about it, so keep on coming back to the iMINCO.net website for more information on the Adani Carmichael mine developments. r.e. who is building the accommodation village for Adani at the Carmichael mine in the QLD, Galilee Basin? Hi, ive just completed a cert 2,3 in surface extraction operations. my drivers licence is suspended. 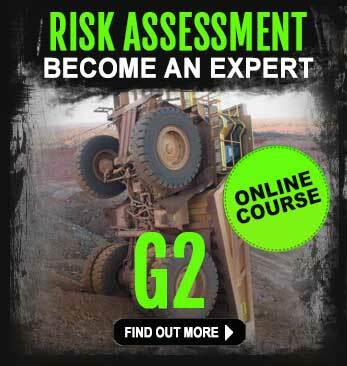 Am i still able to do a haul truck driving course?. Am i able to still work on a mine site with a suspended licence? Hi Nicholas, sorry to hear your licence has been suspended temporarily. The basic rule is that, a mine site is private property therefor it is at the discretion of the mining company or contractor as to whether you are allowed to operate their vehicles. I have to say,it won’t do your chances any good if you have a less that good driving record – however, we all make mistakes and that’s just the way life is. I would be up front and honest to a prospective employer and tell them about your licence,it’s better that you tell them than they find out through other means. Als0o, bear in mind as a machinery operator on a mine,you may be required to undertake other tasks such as take the ute to pick up supplies, or even drive the bus to and from the camp, which could mean you have to use a public road… just something to consider. r.e.my licence is suspended, will this stop me getting a job in the mines as a haul truck driver? Hi.I have 8years exprience in HEMM mining truck and i also work with excavator,Dozer,Wheel dozer,Water expletor.i am looking to join addani group.i am an indian so my 1st choice is that i want to work in india.My ladt company was OHL Arabia(saudi arab). Hi Raju, the first question I’d ask is are you living in Australia at the moment? You must be a resident here or have a 457 working visa and be sponsored by a company. Adani will be looking for qualified operators when the project is ready to start. I’d suggest also contacting Adani directly. Do something for yourself. Don’t wait. Take action today. why would a boilermaker be required to hold a Black Coal competency?? already have a Standard 11 and coal medical, and various machinery tickets. Hi Leia, correct, there is no reason why a boilermaker would need a RII competency qualification. That is just for machinery operators only. when do expressions of interest / applications close for the Adani Project? Hi Leia, they will be open for some time. Keep following the news on iMINCO and you will be kept up to date every step of the way. Get your copy of iMINCO Project News, we publish a lot of information on the proposed Adani Carmichael mine development in the Galilee Basin, Queensland. I am currently a student in University of New South Wales doing chemical engineering.I know the Adani Group very well,I come from Ahmedabad where the Current Adani Group Headquarters is.I would like to know if there is any opportunity for me to join the group in Australia? Hi Varun, there is every opportunity for you to join Adani.. just give them a call. iMINCO is not affiliated with them, we just write about what they do. Adani have a head office in Brisbane at 10 Eagle Street. Call them on 07 3223 4800. Tell them why you want to work for Adani and what you can bring to the company that is of value. The proposed Adani Carmichael mine in the Galilee Basin is certainly grabbing the attention of the media in Australia. Follow the Adani news by getting iMINCO Project News every couple of weeks. It’s a free email newsletter packed with mining news and information to help people who are looking for work in the mines. r.e. can I get a job with Adani? Hi Neil, some good questions you have asked there, let’s see if I can answer them. The Standard 11 is a must-have – yes!. You can’t get around this, because it is a Queensland government Department of Natural Resources and Mines legislated it. You will find the Standard 11 forms part of the Coal Mining Safety and Health Act 1999. The reason it was developed was to provide a comprehensive safety and WH&S training framework to keep mine workers in Queensland mines and quarries, safe from harm. As you well know Neil, mining is a hazardous and dangerous place to work, so there needed to be something done about it. The outcome of this is that Queensland has one of the best safety records in the world when it comes to mining. The Standard 11 has to be delivered by a recognised training organisation which has been approved by the Queensland government, although the training course can be delivered in most Australian capital cities. Adani would be looking to recruit workers from all over Australia. Owing to the remote location of the proposed Adani, Carmichael mine in the Galilee Basin, Queensland, there id going to be a huge FIFO workforce. With smaller townships located close to the mines there would also be the possibility of Drive in Drive Out operations. The proposed Carmichael mine development is still some way off, although Adani keep fighting off challenges from protesters and conservationists because of the threat to the local flora, fauna and wildlife, plus the issue of shipping coal close to the Great Barrier Reef. Stay up to date with Adani news on the iMINCO.net website where we run news stories and informative articles on the development of the mine. Not forgetting the thousands of mining jobs that will be created in the process. Thanks again for your great question Neil, a lot of people will read this and get a lot out of it. 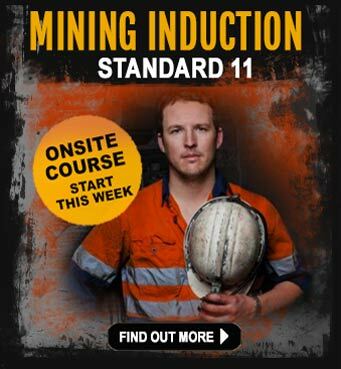 r.e.is the Standard 11 mining induction a must before stepping on a coal mine site? Hi Dion, of course. This is a totally new mine. When it eventually construction begins, there will be plenty of work in steelfixing and concreting. At the moment, there is nothing out there in the Galilee Basin except fields and farmland. The proposed Adani Carmichael mine will be the biggest Australia has ever seen. The investment is in the billions of dollars. Although no definitive date has been given for the official start, there has been a lot of activity from Adani around putting the contracts into place and finalising the details. Whenever the mine kicks off – be sure to be prepared by having all of your qualifications up to date like the Standard 11, and Coal Mine Workers Health Scheme (Coal Board Medical). Keep coming back to iMINCO for more news and jobs for the Adani Carmichael coal mine in the Queensland Galilee Basin. r.e. Any steelfixing/concreting jobs available at Adani’s Carmichael mine in Queensland? Are there going to be any carpentry jobs available? And how would i go about applying for them? Mikey, yes there will be carpentry jobs on this project whenever it kicks off. Downer EDI are the main contractors, so keep an eye out on their website and also keep coming back to iMINCO for further updates. Get the iMINCO Project News email newsletter too – we regularly feature Adani in it. r.e. are there jobs for carpenters at Adani’s proposed Carmichael mine in the Galilee Basin? I only just came across your site this evening and have managed to understand a bit more about the project . i live in cairns north Queensland and have been FIFO for a number of years now ..i have found the last 2 years harder with less jobs being offered in Queensland coal civil projects. i have been working in WA for close to 2 years now because of this reason ,long story short could you maybe answer a couple of my ?s . the scale of the project would mean a lot of FIFO jobs would be on offer ? also the project is under green- fields agreement ? the government needs to back this project ..they waste so much of the tax payers money when they could be getting Queensland back on track . Hi Luke, thanks for your comments on the Adani Carmichael mine. We do try to help people understand exactly what is going on with the project. Because of the remote location of the proposed mine, FIFO jobs would be on offer as well as a mix of local ones. There will be a runway built at the mine as well as a series of admin and worker accommodation blocks. Details of the camp have been vague to say the least, but when you look at how big the Roy Hill mine is and the camp they built for that – you can see there will be a lot of activity at this new mine. The project is huge and falls under the greenfields agreement. There will be a lot of open-cut activity as well as underground longwalls. When the Adani Carmichael mine eventually gets cracking, you could expect to see more activity in the Galilee Basin from other players like GVK Hancock Coal and Clive Palmer’s China First mine. As with any development of this size, there has been a lot of negative sentiment owing to the proximity of the Great Barrier Reef. The mine is not 100% yet, although all of the cards seem to be stacked in the favour of the development going ahead. The Queensland government as well as the federal government have stamped their approval of the mine – albeit there are restrictions and caveats to adhere to. Hope that helps answer your original question Luke? r.e. Adani Carmichael mine progress. Hi John I have been in open cut mining for about 11 years have shovel ,digger, dozer, grader, Truck etc.And have rpl’s with managers signature on them. Is this acceptable instead of black coal competencys? Hi Mick, thanks for your question. It certainly looks like you have the experience in the right industry and you are a multi-skilled operator too. You can RPL your current experience into BCC yes. It all depends on what proof you can provide to the assessor. Best advice I can give you at this time is to speak to one of the Black Coal Competency specialists at Industry Pathways. They handle a lot of this stuff and they can even do it over the phone. Their number is 07 5520 2522. They are also an RTO so you can be assured of quality advice and training if you need it. The proposed Adani Carmichael mine is going to be huge, and the Galilee Basin itself is approximately the size of the UK. Thousands of full-time jobs will be on offer and as the mine is predominantly open-cut (although there will be some longwall mining), for a bloke with your skills and experience, you’ll be up there with a very good chance when the time comes to get your resume in. Downer are the Adani contractors who have been earmarked to develop and run the mine, so keep an eye out on them as well as come back to iMINCO to check for updates. Get out newsletter called iMINCO Project News – it’s a free email newsletter – full of good information about Adani and anything else we can find to help people like you get a head start. r.e. Adani Carmichael mine development – jobs for multi-skilled operators – can I RPL my black coal competencies. Hi Christie, there are no definite dates as yet. Everyone is waiting for announcements. We hear in the news of Adani still rustling up the funding and getting a hard time of it from some of the world banks. However, we have also noted Adani are actively pursuing buyers for the coal that would be mined at their Carmichael mine. That’s a strong indication that things are moving in the right direction. As always, keep coming back to iMINCO for regular updates…. don’t miss the boat. There are a lot of jobs on offer, across many different disciplines. Your replies to these questions are wonderful. Direct, honest and informative where possible. I really like the way you replied to the negative comments. Keep up the good work iMINCO. Thanks Karen, we try to be as helpful as we can be. Hi, i work as a utility at a mining site. What contractor is this site hiring? r.e. Adani Carmichael Coal Mine Jobs – Expression of Interest: what contractor is hiring? I’m a concreter/labourer. I have worked on various mines within construction, have my coal board medical, standard 11 etc. Do you require concreters and labourer for the construction phase of the mine? Patrick, thanks for your question. We are not employers for the Carmichael mine, we simply keep up to date with the news and try to help out people wherever we can. There will be a ton of work when the construction finally starts. Downer EDI are the main contractors who will be building the mine. Keep an eye out on their website as well as coming back to iMINCO to gt the latest updates. r.e. do you need concretors for the proposed Adani Carmichael mine in Queensland’s Galilee Basin? Hi there, thanks for your comment. You have some good experience and qualifications. The first thing I would do is to Google “Condition Monitor Australian mining jobs”. Do your own research first. iMINCO does not go searching for information for you. Do the hard work yourself. Mining companies in this country are under a lot of pressure. Jobs are not easy to come by. For a start, you would need two things, a job with an employer who was willing to sponsor you and number two, you’d need a 457 visa to work in this country. With a lot of mine workers already fighting for jobs, coming from outside of the country would be a challenge to land a job. I have no experience in your field, however, go to the mining jobs boards in Australia like SEEK and Career One – or even Indeed and search for jobs that fit your experience. This is the first place to start. Hi Danny, yes it would be good to work there. So what are you going to do about it. Have you sent in an EOI to Adani yet? Be quick. There’s going to be years of work there, once things get moving. Hi Tyson and thanks for your comment about pay. Have to say, you might want to consider your thinking a bit. If that’s the first question you’d ask in your interview – you may do yourself out of a job. Employers like Adani are looking for people who want to contribute to the growth of the business and make the Carmichael mine a success. The old days of focussing on how much money you can make are gone, today’s successful employees think more along the lines of ‘let’s work and do this job as a team’, because when you think like that, everyone wins. And … as a result of that mindset you create your own opportunities to increase the amount of money you can make by developing your career. This means signing up for extra training and paying for it yourself. No one will tell you about the annual pay,because that’s just a question that has many answers. Annual pay for a cleaner to a OCE is vastly different. Be clear about what you ask, don’t be vague because rarely you’ll never get a reply. We have replied to give you some ideas on how to approach finding a job in the future. r.e. Adani Carmichael mine Galilee Basin – What’s the annual pay? Hi Cameron, thanks for your question. Depends on where you want to base yourself. In Queensland, you must hold a Standard 11 and also undergo a Coal Board Medical. The Coal Board Medical (CBM) is a requirement in most states as a ‘fit for work’ evaluation. There are other tests like drug and alcohol that you may also have to take. The main consideration for you is the Standard 11. This course usually runs over 2 days with a bit of pre-reading beforehand. The Standard 11 is valid for 5 years and there is also a refresher available, which means you don’t have to take the whole course again. It’s also helpful to hold certain inductions like the BMA induction, which can be taken via external providers. As a safety advisor, your employment opportunities in coal are greatly increased because of the safety focus of all mining companies. First things first, get your Standard 11 and Coal Board Medical. Good luck with the job hunt too. 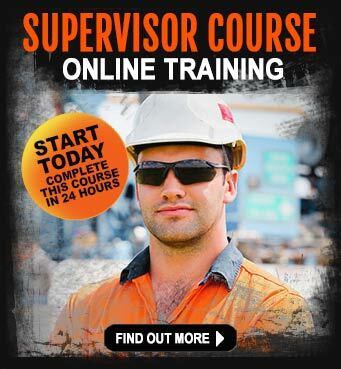 This is a gimmick… Don’t be sucked in people… They are only trying to sell their own training and services… Should be illegal to advertise like this and take money from unsuspecting people trying to break into the mining industry. Hi Robyn, wow – that’s a pretty bold statement you are making there. Why would you assume that? and on what basis is your claim made? iMINCO is simply an information provider. We like to think we provide people with valuable information on where the jobs are and how to go about getting them. Did you know we have been talking with Adani about sharing our list of people who have expressed an interest in applying for positions? Did you know iMINCO were recently featured in an article about Adani? You can’t go round implying things you don’t know anything about. In the real world that opens you up to being challenged by others who have a different view point, not to mention the fact your comments are derogatory to iMINCO. Seeing as you are such an expert on the topic of mining jobs, training and new starters. Give the many thousands of readers of our website some of your own tips on how to go about getting a mining job in Queensland with Adani – we would love to hear your expert opinion. r.e. Adani Expression of Interest for Carmichael mine in Queensland. Hey Kiethy, thanks for airing your views on iMINCO..it’s great to see some interaction and we’d love to hear why you think that! Are you looking for work in the mining sector or are you currently working in coal? You’re obviously very angry about this topic…why is that? Do you know something that we don’t about the future of Adani’s Carmichael mine.. because if you do, tell us what it is! Can you share your views with the thousands of other people in Queensland who really want this mine to open and with that bring the jobs and boost to Queensland than is so desperately needed. Have you ever heard of the statement ‘the power of positive thinking”, or the ‘magic of thinking big”? Optimism is a great driver of change. It promotes a new way of thinking and collectively the outcomes are generally positive. People rely on iMINCO to give them the information they may never find themselves… this is our job. Many other organisations, employers, recruiters and mining websites have written about the Adani Carmichael mine project in similar ways. We all agree, there is no definitive YES to the mine going ahead at this stage, there are still many factors. The Australian government as well as the state of Queensland have given permission for Adani to go ahead. Adani has invested billions in mining infrastructure in Queensland. Adani has contracted Korean company POSCO to manage the building of the 360 kilometre rail line to link Abbot Point to the proposed Carmichael mine in the Galilee Basin. Downer was awarded the contract to develop and build the mine and provide the infrastructure, buildings, machinery and manpower to operate the mine. There was agreement reached to dump the dredged materials from Abbot Point onto land and not into the ocean.. all of these facts must in your mind give you some indication that eventually, one day soon we hope, things will start to happen. iMINCO does not make this stuff up mate…do your own homework before you start to voice your opinions. Get back to us on why you think the mine is not going to open – be good to hear your views. r.e. iMINCO is full of S@#t, the Adani Carmichael mine isn’t going to open. if you have a current BMA Core induction for your present job can you just do a Standard 11 refresher to qualify? Hi Dennis, not sure of your question. The Standard 11 is completely different from a BMA induction as these are more ‘site-specific’ inductions. If you have a Standard 11 that has expired and that expiry date is no longer than 6 months, then you can do a Standard 11 refresher yes. r.e.If I have a current BMA Induction can I do a Standard 11 refresher? Some training organisations will RPL a BMA induction into a Standard 11 induction without sitting the course. Just some paperwork and fee to pay. Owner operator Jobs Gps/Uts Grader . How do we find these Contractors to work for. Hi John, Downer are the contractors for the Adani Carmichael mine. You should be looking to them for more news and information. Check out their website. Will there be a sole/permanent Emergency Response Team, or will they be relying on crew members to do both jobs. Hi Craig, good question and we don’t know the answer to that one. With the mine being a little way off, it’s too hard to make assumptions at this stage. Given the size of the mine, I’d say it’s possible a dedicated ERT will be employed. r.e. Adani ERT team – will there be a dedicated crew at the Carmichael coal mine? How many Open Cut Examiners will they be requiring and what date are they anticipated to be required. Hi James, we have no idea at this stage. Given the size of the proposed Carmichael mine, we would say there would be a few. Keep your eyes on the Adani website and iMINCO for further news as it happens. r.e. how many OCE’s will the proposed Adani Carmichael mine have? is there any blast hole drilling jobs at the mine? r.e. will Adani’s proposed Carmichael mine have drill and blast jobs? Hi, I have a few earthmoving machinery tickets. They aren’t of any use anymore. How do I go about getting Black Coal competencies? Hi Tom, give Industry Pathways a call on (07) 5520 2522. They can give you all the information you need to help you get your BCC. r.e. how can I upgrade my coal mining competencies? Do you need to have your inductions and mining competencies for admin work? Hi Deb, yes, you will need a Standard 11 if you are going to work on a coal mine in Queensland, no matter what job you do. If you are planning on working elsewhere in Australia, the Standard 11 is not required, although having the course codes on your resume will show employers you have invested your time and money in learning about mining safety – and that’s a good thing. I have tickets for Excavator, Bull dozer, Dump truck and also Front end loader,,,have used heaps of machines for about 5-6years,, is there guaranteed employment if you take courses that are required?? I just don’t have all of the required entry level tickets,,am really interested in working in mines but don’t have those courses to get me in! !-any information will be greatly appreciated thank you! Hi Justin, that’s a good question. The truth of the matter is the proposed Carmichael mine is going to be huge. There will be plenty of jobs for mining machinery operators. Downer EDI are the main contractors, so divert your attention to them and you will be able to find out more. Go to this link to read more Downer EDI wins Adani Carmichael mine contract. There are no real guarantees in this life Justin, especially when it comes to mining jobs. The industry is going through immense change and there is a new era of mining upon us. Sounds like you have plenty of experience operating machinery, although to work at the Carmichael mine you’re going to need the basics of the Standard 11 and perhaps you can transfer your current tickets to Black Coal Competencies. Although you won’t be guaranteed a job, if you have the right qualifications Adani is looking for, then you’ll stand a better chance. It’s a gamble like anything, but if you have the right cards in the deck, the chances of winning the hand are increased.. if you get my meaning? There are a few training organisations that can give you some help and guidance on transferring your current machinery tickets to Black Coal, for instance you can call Industry Pathways, they are on the Gold Coast… (07) 5520 2522. Just tell them you are looking to work in Queensland mines and have heard about the Adani mine and you’d like more information on how to get the right qualifications. r.e. what courses can get me into coal mining in the proposed Adani Carmichael coal mine? Is iMinco the preferred RTO? Hi Dave and thanks for your question. iMINCO is not an RTO, we are just an information provider to the mining sector. We predominantly report on news that helps many people to understand the mining sector and how to go about getting the right training and experience to give them every change of being successful. The Adani, Carmichael mine, which is the article you were reading talks in depth about the proposed new coal mine in Queensland. We write about this to bring it to the attention of the many thousands of people who read our newsletter and blog every single week. There would be many RTO’s who are effectively hoping to work with Adani owing to the size of the project and the sheer amount of compliance that is required in Queensland. Is it possible to get a chef or cook job in the mines? Hi There, to answer your question, yeah for sure!!! With the many FIFO mines in Australia there is always a demand for chefs and cooks. You’ll find lots of jobs on SEEk, Indeed and other mining jobs boards. Just Google ‘Chef cook jobs in mines’ and you will see a lot of results. Make sure your resume is up to date and your cover letter is targeted to the company advertising the jobs. Mining companies do not advertise for chefs etc, they leave all that to their nominated contractor, which could be Spotless or other leading labour hire businesses. Just get on Google and start looking – that’s the first step. re. can I get a mining job as a chef? How long does the standard11 induction certificate last for, I did the course in 2011 and have since then being working in NSW at an underground mine. Hi John, the Standard 11 is valid for 5 years, so you should be ok for now. I’d suggest doing a refresher course next year just to keep your Standard 11 up to date. The mining induction refresher is cheaper than the full Standard 11, so that’s a good win. Find out more about the Standard 11 mining induction refresher course on the iMINCO website. r.e. how long does the Standard 11 last for? 43 years underground mining, deputy, shift boss with 180 men underground at one time, safety record for men and myself excellent. Hi Philip and thanks for your comment. iMINCO is not a mining employer, so we can not sort of offer you a job. Having said that, you have a lot of experience under your belt. The Adani, Galilee Basin project would suit you well. I suggest you read as much as you can about the Carmichael mine on our website. This project is going to be huge. Adani have not made any announcements as to who the major contractors would be as the project start date is yet unknown. Keep up to date with mining news on the iMINCO website and subscribe to iMINCO Project News.